For the Canadian lifestyle magazine, see Cannabis Culture (magazine). 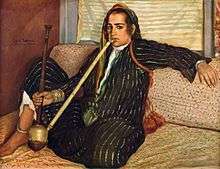 Émile Bernard, Smoking Hashish, 1900. Cannabis culture describes a social atmosphere or series of associated social behaviors that depends heavily upon cannabis consumption, particularly as an entheogen, recreational drug and medicine. Cannabis — the plant that produces hemp and hashish — has been one of the leading psychoactive drugs in world use since the late 20th century, following only tobacco and alcohol in popularity. According to Vera Rubin, the use of cannabis has been encompassed by two major cultural complexes over time: a continuous, traditional folk stream, and a more circumscribed, contemporary configuration. The former involves both sacred and secular use, and is usually based on small-scale cultivation: the use of the plant for cordage, clothing, medicine, food, and a "general use as an euphoriant and symbol of fellowship." The second stream of expansion of cannabis use encompasses "the use of hemp for commercial manufacturers utilizing large-scale cultivation primarily as a fiber for mercantile purposes"; but it is also linked to the search for psychedelic experiences (which can be traced back to the formation of the Parisian Club des Hashischins). Cannabis has "evolved its own language, humour, etiquette, art, literature and music." Nick Brownlee writes: "Perhaps because of its ancient mystical and spiritual roots, because of the psychotherapeutic effects of the drug and because it is illegal, even the very act of smoking a joint has deep symbolism." However, the culture of cannabis as "the manifestation of introspection and bodily passivity" — which has generated a negative "slacker" stereotype around its consumers — is a relatively modern concept, as cannabis has been consumed in various forms for almost 5,000 years. The counterculture of the 1960s has been identified as the era that "sums up the glory years of modern cannabis culture," with the Woodstock Festival serving as "the pinnacle of the hippie revolution in the USA, and in many people's opinion the ultimate example of cannabis culture at work". The influence of cannabis has encompassed holidays (most notably 4/20), cinema (such as the exploitation and stoner film genres), music (particularly jazz, reggae, psychedelia and rap music), and magazines including High Times and Cannabis Culture. Cannabis has been used as an entheogen - most notably in India and Nepal since the Vedic period dating back to approximately 1500 BCE, but perhaps as far back as 2000 BCE. Its entheogenic use was also recorded in Ancient China, the Germanic peoples, the Celts, Ancient Central Asia, and Africa. In modern times, spiritual use of the drug is mostly associated with the Rastafari movement of Jamaica. Several Western subcultures have had marijuana consumption as an idiosyncratic feature, such as hippies, beatniks, hipsters (both the 1940s subculture and the contemporary subculture), ravers and hip hop. Cannabis was once sold in clubs known as "Teapads" during Prohibition in the United States; jazz was usually played at these clubs. Cannabis was often viewed to be of lower class and was disliked by many. After the outlawing of cannabis, its consumption was used in secret. Years later after cannabis has been once again tolerated legally in some regions. Holidays have formed around the consumption of cannabis such as 420, named after the popular time of day to consume cannabis (4:20 pm and celebrated on April 20 (4/20). If consumed in a social setting it is encouraged to share your cannabis with others. Cannabis has been used in the ancient past in places such as ancient India, Romania, Egypt, and Mesopotamia. It was often used as medicine or for hemp, its main route of consumption was smoking. Over time the culture became more international and a general "cannabis culture" formed. The culture has been responsible for the genre of films known as stoner films, which has come to be accepted as a mainstream cinema movement. 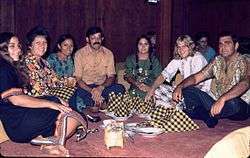 In the United States the culture has also spawned its own celebrities (such as Tommy Chong and Terence McKenna), and magazines such as (Cannabis Culture and High Times). Cannabis is indigenous to Central and South Asia. Cannabis is also known to have been used by the ancient Hindus of India and Nepal thousands of years ago. The herb is called ganja (Sanskrit: गञ्जा, IAST: gañjā) or ganjika in Sanskrit and other modern Indo-Aryan languages. Some scholars suggest that the ancient drug soma, mentioned in the Vedas, was cannabis, although this theory is disputed. Today cannabis is often formed into bhang, which has become an integral part of tradition and custom in the Indian subcontinent. In some sections of rural India, people attribute various medicinal properties to the cannabis plant. 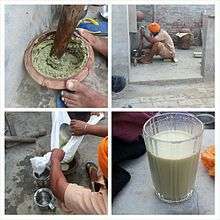 If taken in proper quantity, bhang is believed to cure fever, dysentery, sunstroke, to clear phlegm, aid in digestion, appetite, cure speech imperfections and lisping, and give alertness to the body. A Rasta man holding cannabis. By the 8th century, cannabis had been introduced by Arab traders to Central and Southern Africa, where it is known as "dagga" and many Rastas say it is a part of their African culture that they are reclaiming. It is sometimes also referred to as "the healing of the nation", a phrase adapted from Revelation 22:2. Alternatively, the migration of many thousands of Hindus and Muslims from British India to the Caribbean in the 20th century may have brought this culture to Jamaica. Many academics point to Indo-Caribbean origins for the ganja sacrament resulting from the importation of Indian migrant workers in a post-abolition Jamaican landscape. "Large scale use of ganja in Jamaica ... dated from the importation of indentured Indians...."(Campbell 110). Dreadlocked mystics Jata, often ascetic known as sadhus or Sufi Qalandars and Derwishes, have smoked cannabis from both chillums and coconut shell hookahs in South Asia since the ancient times. Also, the reference of "chalice" may be a transliteration of "jam-e-qalandar" (a term used by Sufi ascetics meaning 'bowl or cup of qalandar'). In South Asia, in addition to smoking, cannabis is often consumed as a drink known as bhang and most qalandars carry a large wooden pestle for that reason. Today the Jamaican religion Rastafari promotes cannabis use for religious use. Marijuana use was associated with the subculture, and during the 1950s, Aldous Huxley's The Doors of Perception further influenced views on drugs. This would later influence the hippie movement. Following in the footsteps of the Beatniks, many hippies used cannabis, considering it pleasurable and benign. On the East Coast of the United States, Harvard University professors Timothy Leary, Ralph Metzner and Ram Dass advocated psychotropic drugs for psychotherapy, self-exploration, religious and spiritual use. Regarding LSD, Leary, a prominent hippie thinker, said, "Expand your consciousness and find ecstasy and revelation within." These attitudes greatly influenced the hippie movement and culture, not just on the topic of LSD but with drugs in general, including cannabis. The term "Hipsters" define two cultural groups, the 1940s subculture dedicated to jazz, and the contemporary subculture today. Both are stereotyped as enjoying cannabis. In fact the early hipsters of the 1940s had many slang terms dedicated to the drug and its distribution. Cannabis use among modern hipsters is common. 1 2 3 4 Brownlee, 2002. "01: Culture"
↑ Rätsch, Christian (2003–2004). The Sacred Plants of our Ancestors. TYR: Myth—Culture Tradition. 2. ISBN 0-9720292-1-4. ↑ Creighton, John (2000). Coins and Power in Late Iron Age Britain. Cambridge University Press. p. 52. ISBN 978-0-521-77207-5. ↑ Booth, Martin (2005). Cannabis: A History. Picador. p. 29. As the seeds of cannabis contain no psycho-active chemicals, it is believed the Scythians were actually casting cannabis flowers onto the stones. 1 2 "Lab work to identify 2,800-year-old mummy of shaman". People's Daily Online. 2006. ↑ Ryan Grim (April 20, 2010). "420 Meaning: The True Story Of How April 20 Became 'Weed Day'". The Huffington Post. ↑ Peters, Jon. "top ten stoner movies". Killerfilm.com. Retrieved 2013-03-15. ↑ "top ten stoner movies". Ign.com. 2008-08-08. Retrieved 2013-03-15. ↑ Miller, Ga (1911). Encyclopædia Britannica. Science. 34 (11 ed.). pp. 761–2. doi:10.1126/science.34.883.761. PMID 17759460. Archived from the original on August 26, 2013. ↑ Hamid, The Ganjah Complex: Rastafari and Marijuana, introduction, p. xxxii. ↑ Chanting Down Babylon, p. 130 ff. ↑ Barry Chevannes, Rastafari and Other African-Caribbean Worldviews, pp. 35, 85; Edmonds, p. 52. ↑ Bhang is often produced in large vessels at dargah gatherings known as "shaam-e-qalandar". During these gatherings large kettle drums known as naggara are played or alternatively, the Dhol. It is known as Qalandri dhamaal. Both groups, the Qalandar's and Sadhu's were lumped together by the British as faqeers. They are still frowned upon by the industrious population and are considered "dreadfull". Yet they are considered holy men by many. Both groups practice either some sort of chilla nashini or yoga in remote jungles, mountains or charnel grounds in which ganja aids to put a veil on the worldly and to transcend the various societal trends and pressures. It is also used to induce a state of euphoria and trance by some in conjunction with drumming, dance or whirling. Arrow of the Blue-Skinned God: Retracing the Ramayana Through India, Jonah Blank, p. 89. ↑ Stolley 1998, pp. 139. Rubin, Vera (1975). Cannabis and Culture. De Gruyter. ISBN 978-9027976697. Brownlee, Nick (2002). This is Cannabis. Sanctuary Publishing. ISBN 978-1860743993.